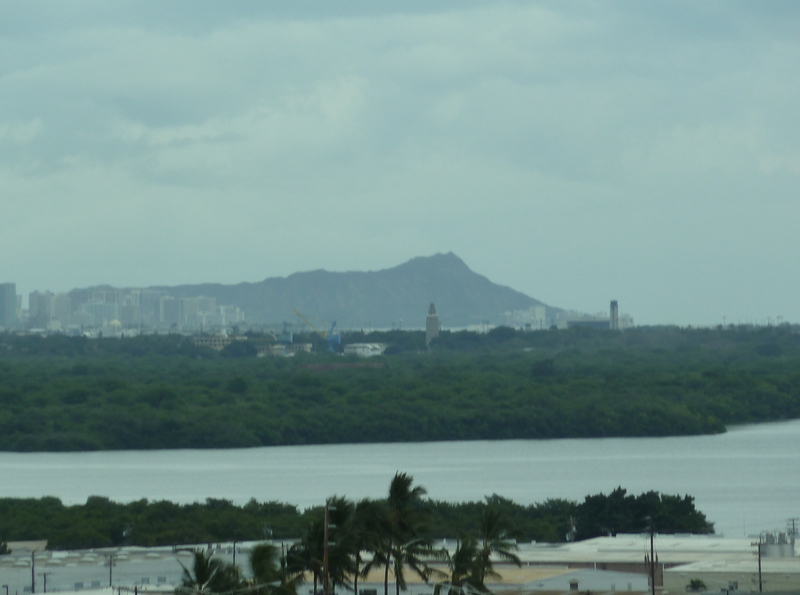 Honolulu and Diamond Head in the distance. Waikiki beaches.lay below the hotels. Waikiki, heart of Honolulu’s tourist scene, is filled with restaurants and an abundant night life.